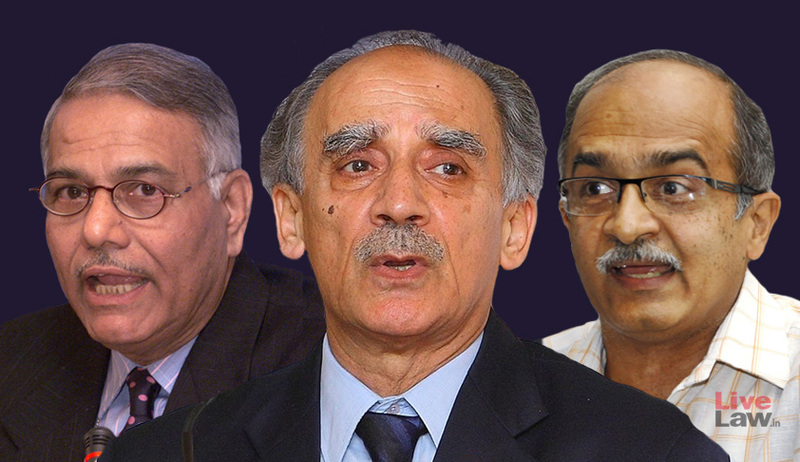 Former Union Ministers Yashwant Sinha and Arun Shourie, along with lawyer Prashant Bhushan, have filed a PIL in the Supreme Court for registration of FIR and investigation by CBI into the Rafale deal. The petition alleges that in the Rafale deal there is prima facie evidence of commission of cognizable offences under the Prevention of Corruption Act by public servants occupying the highest of public offices in the country. Though the petitioners had filed a complaint on October 4 before the CBI alleging foul play in Rafale deal, no action has been taken. According to the petitioners, in 2007, after going through the requisite procurement procedures at various levels, tenders were issued by the Ministry of Defence for the purchase of 126 fighter aircrafts and it was specified in the Request for Proposal that 18 of these aircrafts would be purchased from abroad in a ‘fly-away’ condition and the remaining 108 would be manufactured in India in the factory of Hindustan Aeronautics Limited (HAL) with transfer of technology from the foreign vendor. After the financial bids, Dassault Company manufacturing the Rafale aircraft was declared the lowest tenderer and thereafter price negotiations began. These negotiations were at a very advanced stage (95% complete) by 25 march 2015, states the petition. It may be noted that on October 10, the SC had considered two PILs by M L Sharma and Vineet Dhanda regarding the Rafale deal and had sought from the Attorney General the details of the steps involved in the decision leading to the new deal. The CJI led bench, however, clarified that the details so sought would not cover the pricing or the suitability of the equipment for the Indian Air Force, bearing in mind the sensitive nature of the matter.